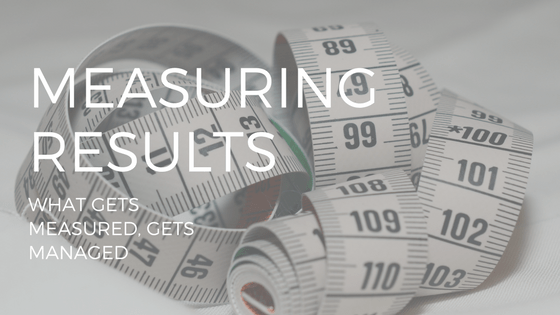 When you set a goal, how important is measuring results? I think it’s very important and here’s why. In 2003, I set a goal for myself: beginning January 1st I would run for 20 minutes every day of the year on my rebounder (mini trampoline). And I did. I didn’t miss a single day. You can imagine my feeling of accomplishment when December 31st rolled around. I was proud of my achievement, and believed, rightly so, that after exercising (pardon the pun) such discipline, I deserved a little time off. And I did – 12 years to be exact. Not a particularly empowering result. So, as 2016 began drawing to a close, I decided to set another goal, this time to repeat the previous one but with one difference: not to set an end date of December 31. I began 2017 by running on my rebounder for 20 minutes each morning. As the months went by, I increased my time to 25 minutes, then 30 and so on until, by the time fall rolled around, my daily ritual had extended to one hour which, my Fitbit faithfully reported, was equal to running 10K. I feel great. In fact, I have become annoyingly energetic resulting in sleeping less, doing more and enjoying an energy level I have not experienced in many years. During the year, I added other activities to my routine and began tracking and measuring results. I believe in the principle of what gets measured gets managed and that one of the best ways of staying on track is to measure activities as they happen. I also made changes to my eating habits which made me realize the extent to which I, and presumably millions of others, suffer some form of addiction to those things we crave and constantly freed ourselves despite knowing all too well they serve no nutritional purpose whatsoever. So today I am 31 pounds lighter than I was this time last year and I absolutely commit myself to being part of that minute group of 3% of folks who can take off 20 pounds or more and sustain the weight loss for five years. The reward is not the number on the scale, the loss of fear of popping a button and taking out someone’s eye or being able to buy clothes of a size I could last fit into when I was in my 20s. It is not even the physical evidence (blood levels etc.) that now reside in the perfectly normal and healthy range. It is the incredible feeling of victory that I experience every day when I enter my score into my scorecard. And add yet another day to the total. As we have discussed, we don’t change habits by focusing on behaviour, and I began last year as my own client, by working hard and changing what I believe to be true of me and focusing on who and what I intended to become. I applied the same principles to my business practices and to other areas of my life and doing so has further strengthened my conviction that when we master our emotions, we master our habits and when we master our habits, we own our lives. Along the way, several clients joined me on the journey to exquisite health and we all have developed a new sense of love-of-life, an unconquerable knowledge that nothing is impossible and a great eagerness to push ourselves further than we ever imagined possible. I have no idea how long it takes to form a habit. Like many of you I have heard the nonsensical generalization that a habit is formed in 21 days, but I do know that after more than a year of growth I have new habits that I will make sure last my life time. One of the great benefits that I am enjoying is to wake up each morning exhilarated, energized and excited about the day. If that is the reward new habits can bring, then surely the cost of acquiring the habit is a minute price to pay. Don’t try it, do it. Just make sure you measure it.